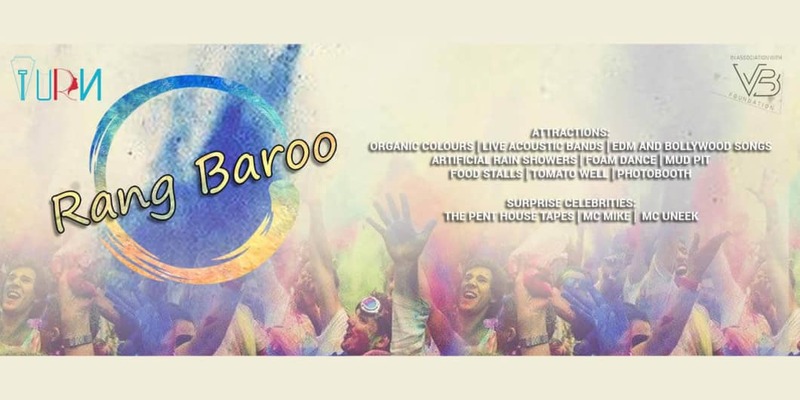 The turn and VB Foundation bring you the most colorful extravaganza, Rang Baroo in Hyderabad. Celebrate with your friends, gang or family while contributing for a noble cause and a lot of colors. Bonus attraction for the event: Surprise celebrities join you to make the day even more colorful. Grab your tickets now! !